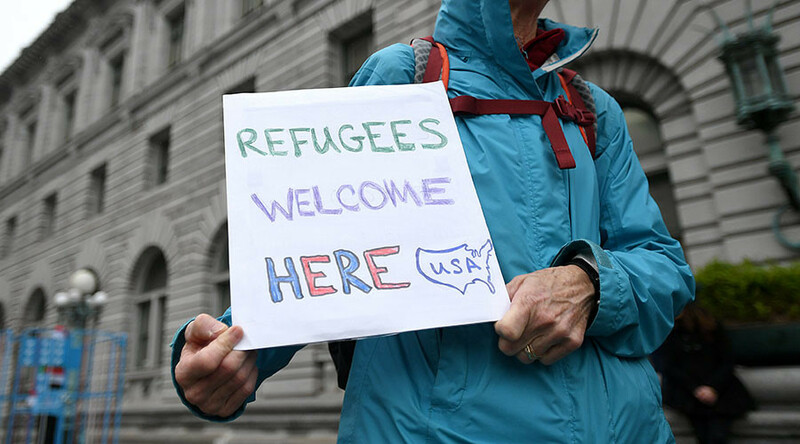 The restraining order on enforcement of the travel ban on seven countries has been upheld unanimously by a three-judge panel of the US 9th Circuit Court of Appeals. The case will likely continue to be appealed until it reaches the Supreme Court. "We hold that the government has not shown a likelihood of success on the merits of its appeal, nor has it shown that failure to enter a stay would cause irreparable injury, and we therefore deny its emergency motion for a stay," the appeals court's decision said. Trump responded on Twitter in all caps, saying, "SEE YOU IN COURT, THE SECURITY OF OUR NATION IS AT STAKE!" Government lawyers were put to the test by the three-judge panel, arguing in favor of enforcing the travel ban while litigation over it is ongoing. The 9th Circuit Court was not ruling on whether the order was constitutional or not. The issue at hand was whether it would be enforced while legal challenges made their way through the judicial system. Trump’s gripes with the judicial branch of government were echoed by DOJ lawyer August E. Flentje. When asked on Tuesday by Judge Michelle T. Friedland whether he was arguing “that the president’s decision in that regard is unreviewable,” Flentje responded in the affirmative. "I have trouble understanding we're supposed to infer religious animus," he said. Washington State argued against the DOJ and claimed that the ban was based on religion after former Trump advisor, Rudy Giuliani, claimed on Fox News that Trump had asked him how to pass a legal Muslim ban. The ruling was nearly guaranteed to be appealed up to the Supreme Court from the get-go, due to both sides' commitment to the subject, as well as the national interest in it.